Pneumonia is also called as a lung infection, that inflames air sacs either in one lung or both of them. It is very common disease, but if the pneumonia symptoms become chronic it may also lead to death. The air sacs in the lungs get filled with fluid which stops the free flow of the air. It requires medical diagnosis because it may lead to complications and worsen the situation. The patients suffering from pneumonia become very ill but once you start Treatment for pneumonia it will generally resolve in weeks or sometimes days also. With this, you must be clear about the question, what is pneumonia? Did You know the Causes of Pneumonia? Pneumonia is generally caused by virus or bacteria; this happens when the air you breathe in contains pollutants or toxins. Then the bacteria or virus will go inside along with the air and will lead to pneumonia. There are more chances for you to get pneumonia if you have been suffering from cold or flu because cold and flu make the internal system weak and then if pneumonia hits you, it will become tough for you to recover back quickly, you will fall ill.
Having few diseases like asthma, heart problems and cancer also are one of the main causes of pneumonia. The people working in areas where there is much pollution like coal mines and all also have a higher chance of suffering from this disease. People with weakened immune systems also have a higher chance of suffering from pneumonia. With this we have briefly discussed the causes of pneumonia, so make sure you feed this in your brain, so you better stay ahead in protecting yourself from infections, that is treatment for pneumonia. 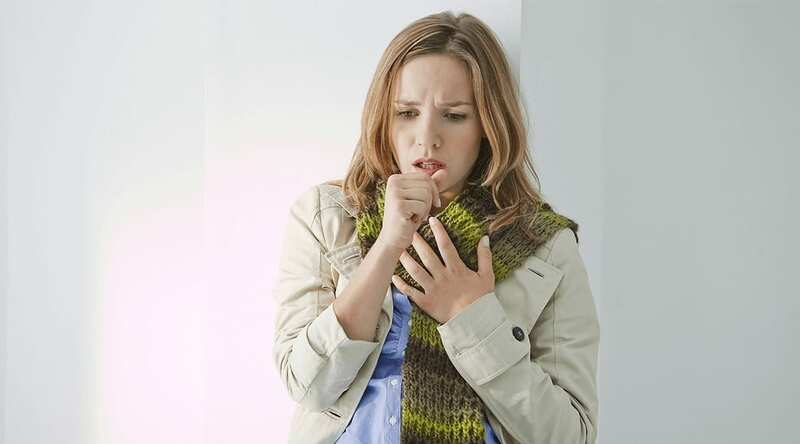 What are the Signs of Pneumonia- Pneumonia Symptoms? You will be having cold coughs or dry coughs, which will be pretty annoying to you companies with headaches. Your body temperature increases rapidly, You’ll be down with high fever. You’ll have trouble in breathing and it will make you very sick, in a condition where you feel all your energy is drained. You will be facing cold sweats and the sweat production also increases. With this, you’ll get dehydrated a lot, so stay hydrated take fluids. Your nails and lips will become bluish in color, when this happens I think it’s better you consult a doctor and start treatment for pneumonia. Nausea and vomitings are also very commonly observed. Adults have lowered body temperature. And when you observe these pneumonia symptoms in you, it’s time for you to start following the home remedies for pneumonia and if the symptoms don’t wear off even after a week, then you have to seek medical attention from your doctor for treatment for pneumonia. We have clearly discussed the signs of pneumonia with this, and now let us move to the pneumonia home remedies. Garlic has got many health benefits, it will produce many antitoxins in your body and help you fight against the infections in your body. 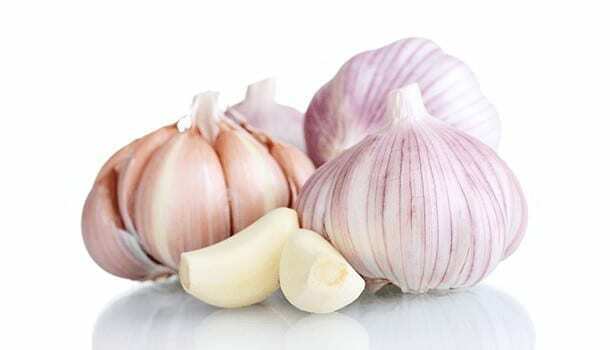 So you may find it difficult to eat a raw garlic but you can eat a garlic in your food, but intake of garlic into your diet is must because it has many health benefits and will help you cure the coughs and give you a soothing effect. Tulasi has got many advantages for maintaining health. Tulasi leaves have got many antibacterial and antifungal properties which will help in the fight against the bacteria and virus. 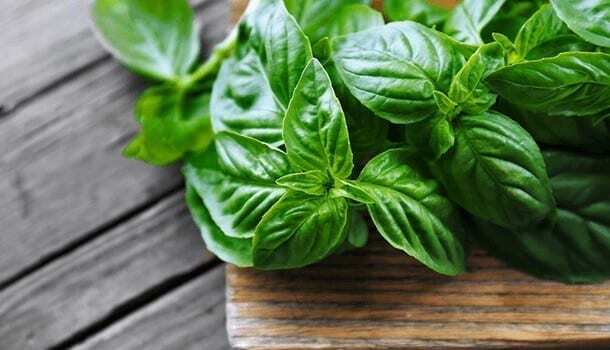 Having basil leaves in your water bottles is one way you can intake basil. It will give you a soothing effect and relief for lungs to breathe better. We know that vegetables provide many nutrients which help in maintaining the health. So consuming vegetables like cauliflower, broccoli, and other green leafy vegetables will help in giving nutrition to your body and help you fight against various infections. 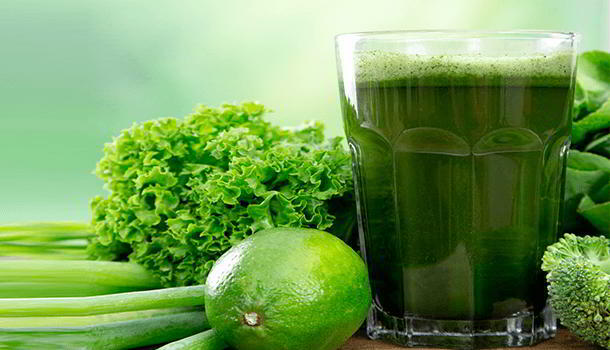 You can also have vegetable juices like beetroot juice, carrot juice and also cucumber water. They help you in remaining hydrated and give you strength and prevent you from falling sick. All you have to do is switch on the vaporizer and wait for two minutes. Once the water gets heated and the vapors start coming, cover yourself with the blanket and the vapor starts staying in the blanket. Then all you have to do is start taking breaths, start from a slow breath and slowly increase your breathing, take deep breaths. This will help you in giving relief to your lungs and then you will start feeling better. Using these vaporizers once a day or twice will help you in recovering back quick and also give you a soothing effect. Turmeric has got many antibacterial properties which will help you in preventing infections and also help in fighting back against the infections. You can’t eat turmeric directly, so you can mix some turmeric powder in your dishes and consume it. This will help you a lot and give your health benefits. Giving relaxation to your body is always must. When you take rest all your body processes also get rest, and this will strengthen the immune system and help you in fighting back against the infection. The metabolism decreases when you take rest and eventually in weeks the infections fade out. By taking medication for pneumonia, the symptoms wear off soon you start taking it. You will be clear about what medicines you have to take for pneumonia after reading the pneumonia medications which is given below. Drinking alcohol and smoking always creates disturbances in your body and is one of the main cause for the lung infections. It also is a knock on the door for cancer. So it is strictly recommended to stop smoking and consuming alcohol because it will help in the development of the bacteria rapidly which will weaken your immune system and you will be sick for days. Shout out to all smokers out there, go get a life. It may be tough to stop for all of sudden but yes take time and if you’re a two pack man a day, reduce it to the count, which you can count on fingers and slowly give up on the habit. You will really have a better life, which you never dreamt. By following these home remedies for pneumonia, you can avoid the risk of getting complications in the disease. But you have to follow them if you really want to recover back quickly from pneumonia and this treatment for pneumonia at home. What is the Medicine for Pneumonia? These are the medicines you have to take for pneumonia cure, you can go to a medical store closer to you and ask for these medicines. Let me write down the names of the medicine for pneumonia which will help in treatment for pneumonia. The treatment for pneumonia also includes medicines, they are antibiotics and by using these medicines, you will generally get cured in a week and the pneumonia symptoms wear off. Even after the dosage, you have not recovered? When it’s time for you to go take the medical diagnosis before it’s too late. When you visit the doctor, in order to confirm the infection. The doctor advises you to take few tests which will help in the confirmation of the infection. The doctor after making sure the symptoms you’ve been going through are pneumonia symptoms, then he may ask you to undergo few tests. These tests include Blood tests to check if it is infected continued with the sputum test which will help in checking the lung infections. The doctor will also ask you to have a urine test which will help in recognizing the inner system functions, followed by a CT Scan to check if there’s some problem with the hardware of the body. Sometimes it will lead to heart failure, that is considered to be the worst case scenario of this disease. Bronchoscopy is always followed if the situation is chronic, it will clear the airways to lungs which will help in the proper breathing and will give you relief from the annoying pneumonia symptoms. But once you identify the pneumonia symptoms it’s time for you to start following the pneumonia home remedies before the complications arise because pneumonia leads to death also sometimes. So better start the treatment for pneumonia once you identify the pneumonia symptoms in you. Is Pneumonia Contagious, does it spread? Yes, pneumonia spreads in the air. It also happens because of the inhalation of airborne droplets from a sneeze or cough of the infected persons. It will develop the infection in you also, and bacteria rapidly increases and develops on you. So staying away from people who often have cold and flu is better. Because once you get infected, all you can do is sit ill for a week. It’s your responsibility to maintain a healthy hygiene and take care of your health because once the health starts fading out, the life becomes colorless. Okay, you’ll die that’s what I actually meant. The person has to have a check-up even after the pneumonia symptoms wear off. This is because to ensure that the infection is gone, or else even if there are little bacteria present, it will slowly develop and bring back the infection alive. 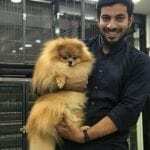 So confirming that the disease is cured is also important to avoid further complications and this will also help in finishing the treatment for pneumonia. It’s very important to take care of our health because it plays an important role in our life. Staying away from people with active infections and quitting smoking and alcohol, maybe it’s tough for you. But by adopting all these qualities it will help you live a long healthy life where you can still play football with your friends at the age of seventy, don’t you dream about it? I do. So yes if you are infected with pneumonia, it’s time for you to start following the home remedies for pneumonia at home and still if that doesn’t get cured, go meet a doctor and have the treatment for pneumonia. We have clearly studied about the pneumonia symptoms and cure for pneumonia. We are also clear with the home remedies for pneumonia, tips which you can follow at home to cure yourself and avoid further complications. Stay happy and in order to stay happy, firstly you have to be healthy. So think about it, everything is in your own hands. You are responsible for everything, like each and everything happening in your life but not the external forces. Thanks for reading the article, surely it will be useful.